Have you been thinking lately about replacing your old laptop and get a new one? Hold on for a minute before investing hefty amount on a new laptop just because your old partner is slow and doesn't allow you to play new generation games. You might want to just replace a few parts on your old laptop to get it up and running!! Laptops, unlike PCs, don't provide us with a lot of option for upgrades, but some of the key parts can be upgraded to optimize its performance. Now, when it comes to the computer the parts that decide it performance are RAM, CPU, GPU( if you are a gamer) and Hard Disk speed. 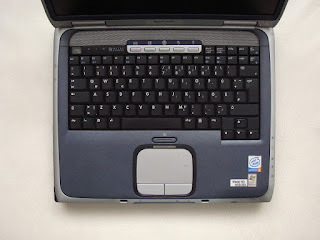 Surprisingly most of the old laptops have the option to upgrade most of the above-mentioned components. If speed and performance are your main problems, then you might have to consider upgrading any of the above-mentioned parts to check if the issue is resolved before investing hefty amount on a new laptop. Replacing your Hard disk might be the easiest of all as for most laptops HDD slot is provided on the bottom of your laptop, so that you don't have to dismantle entire laptop body. Once you have identified your HDD slot, you have two options to increase your system's performance. Second and the best solution is to get a new SSD (Solid State Drive) and replace your HDD. If HDD/SSD upgrade didn't solve your problem, the next step is to add more RAM (Random Access Memory) to your laptop to enhance the performance. RAM upgrade is generally needed if you want to play latest games as nowadays all modern games require a minimum of 4 Gb RAM on your laptop. It also helps to an extent in video editing and animation stuff. Note: You need to check if your RAM slot is expandable. If it's expandable, then you need to know which DDR version of RAM is supported by your laptop ( eg., DDR3) and then purchase accordingly. Now to get to your CPU, you may have to dismantle your entire Laptop. Take care while installing the CPU. You may have to do a research first on CPU installation or get guidance from someone experienced in CPU installation. As a usual rule f thumb, match the Arrow mark in the CPU and the slot to get the right fit. CPU pins are very fragile, so there is a high possibility of them getting bent if you place them wrong in the slot. Usually, you may have to remove the cooler fan before getting into your CPU itself. So after placing the new CPU, don't forget to apply a good thermal paste and then connect the cooler fan back on to the CPU. So these are possible upgrades or your old Laptop to make them great again! Now all the options might not be supported by all the laptops. But generally, HDD can be replaced in 99% of the old laptops. Do check with our laptop manufacturer about the possible upgradable parts in your laptop before disassembling them. Also, if you are not confident about it, don't do it unless you have someone experienced to guide you through the process. Hope this helps a lot of you. So don't just throw off your old laptops in the garbage as they could end up snappier and better performing if proper upgrades are done. And of course, you could save a lot of money! If you find this article helpful and valuable, please comment down below. Also if you think there are more options for upgrade, do let us know the Laptop brand and the possible upgrades in the comment section down below. Nice article its very helpful.